Established in 2014, Johnny Bigg was created with the big and tall guy in mind. Recognising our guys desire to be well dressed and comfortable, Johnny Bigg provides him with a one stop shop focusing on affordable, relevant fashion and footwear for the everyday guy, never compromising on quality, style or fit. 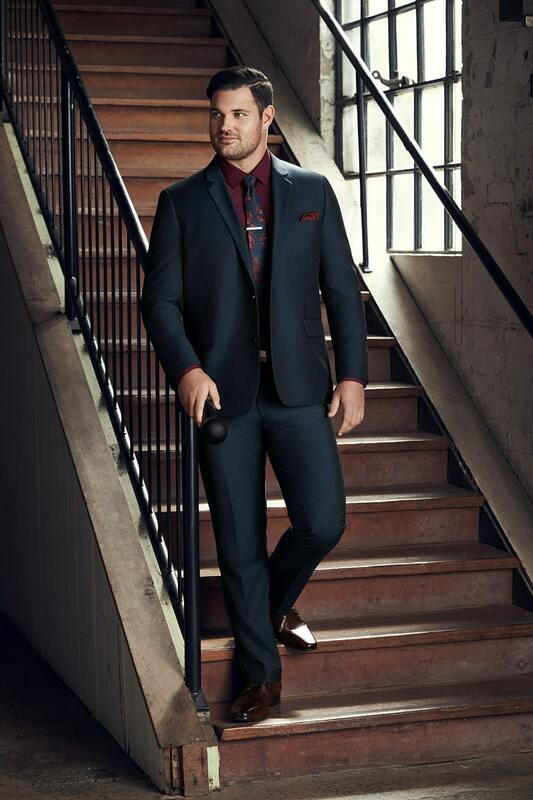 Johnny Bigg utilises expertise gained from decades in the menswear fashion industry offering a comprehensive range in sizes from XL to 9XL Tops, 34” to 54” waist, 42” – 58” suit jackets and also shoe sizes from 9 – 16 UK. Not to be forgotten, our tall range builds additional length in garments for the tall guy, making allowances for extra height. Offering a diverse product mix including; suiting, shirting, chinos, denim, dressy and casual attire as well as footwear and accessories, Johnny Bigg provides versatility and a complete wardrobe for the bigger and taller guy, ensuring the highest quality and fits across our range. Launching initially with an online store, we have since opened +60 doors across New South Wales, Victoria, Queensland, South Australia, Northern Territory, Western Australia and New Zealand, growing every year. Johnny Bigg has a host of friends of the brand, including radio and TV personalities, Apollo Jackson, Gus Worland, Wayne Mott and Andrew ‘Cosi’ Costello, stars from NRL & Rugby Union including; Korbin Sims, Sam Kasiano, Frank Pritchard, George Rose, Josh Aloiai, and Taniela Tupou to name a few plus NFL footballer Jordan Mailata, as well as musicians including Judah Kelly (The Voice Australia Winner), Hoseah Partsch (The Voice Australia finalist) and Big T (Australian X Factor Finalist).